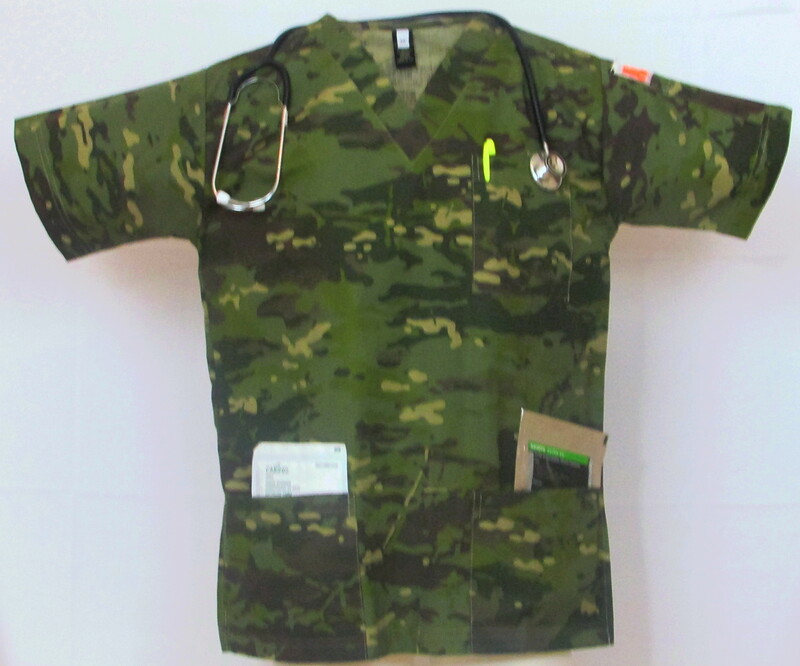 NurseJoe's Green Stat Camo Top features: one top pocket, two wide bottom pockets, and one pen & pen light pocket. Constructed with military grade rip stop cotton nylon blend fabric. High quality stitching and manufacturing. Made in the United States.